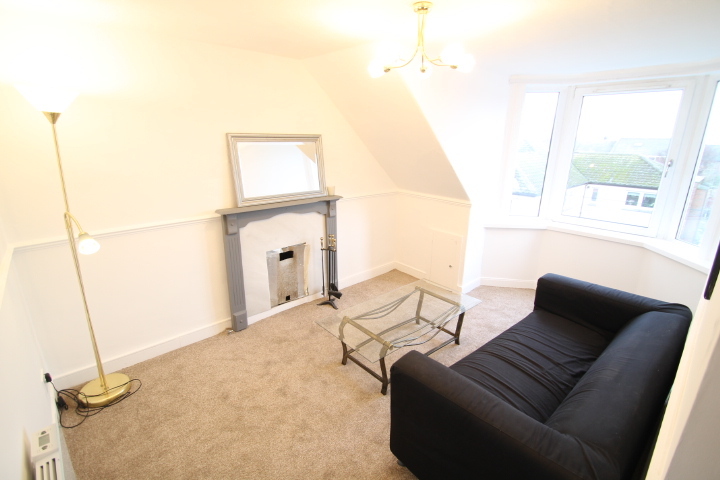 We are delighted to offer this recently refurbished one bedroom attic flat in a quiet residential area close to all local amenities. This property suits ideally a first time buyer as well as the seasoned Buy To Let investor being priced at the crucial threshold, 15% below valuation. 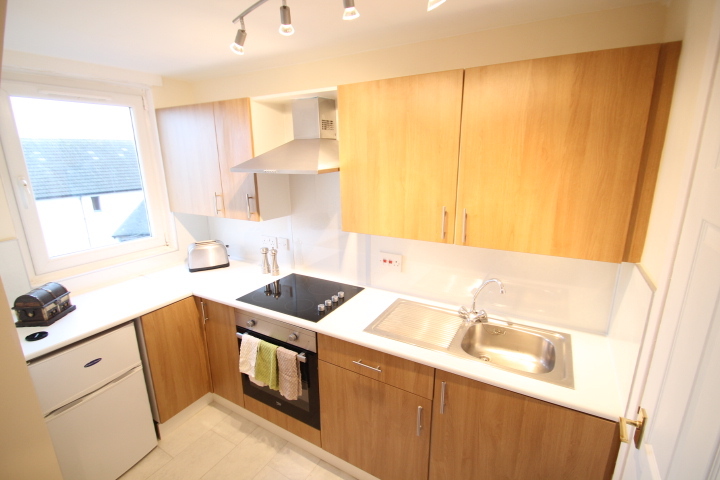 Its location is just one minute walk to the Arbroath train station as well as a two minute walk to the Arbroath Infirmary.Entering the flat into the hallway on the immediate right is the modern, bright dining kitchen. There is ample worktop surface for cooking preparation, a stainless steel sink and drainer, a ceramic hob, built under electric oven and stainless steel extractor. The window provides ample natural light. Half tucked away is a dining area for a romantic dinner for two.Opposite the kitchen is the neutrally decorated shower room with white three piece suite, electric shower with freshly lined wet walls. The towel rail radiator creates a cosy feeling, while additionally to the Velux window, the recessed spotlights provide ample light. 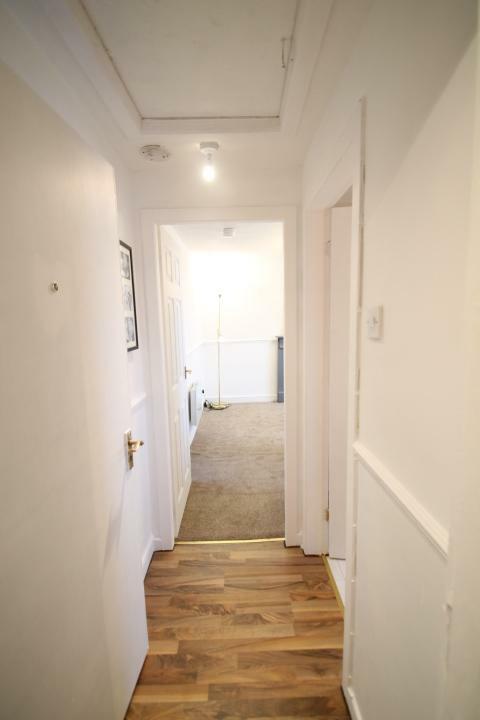 The washing machine is discretely housed next to the toilet, while the water tank cupboard provides additional storage within the flat.Heading on from the hallway, the newly decorated bright lounge is awaiting its visitors. The bay window provides a beautiful view towards the Arbroath Abbey and lends itself for creating a reading corner. The fire place is currently covered up but is awaiting its usage either with logs or by installing a wood burning stove. For the more practical resident, the wall mounted radiator will transform the living space in next to nothing into a cosy home.Finally the generous double bedroom comes with a big bay window and plenty of space for a freestanding piece of furniture or chair. 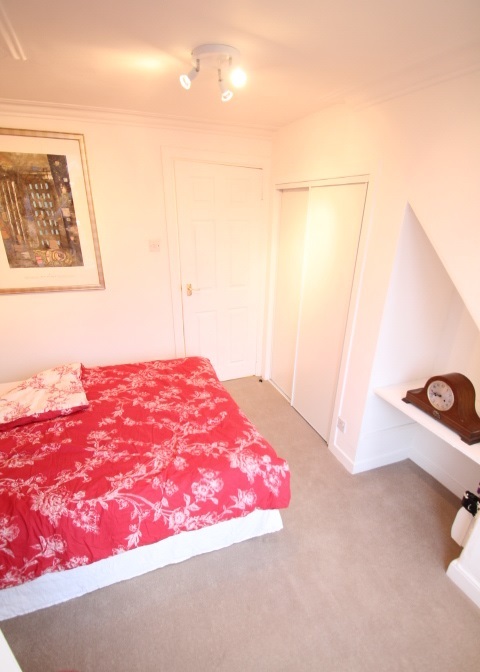 It has a built-in double wardrobe, a desk area in the eaves that can easily be altered to built-in drawers and the wall mounted radiator is conveniently located next to the bed.Additional notes: Ample free on-street parking available to the front of the property, shared communal garden to the rear. uPVC double glazed throughout, all items of furniture available on separate negotiation; Approximate Dimensions (Taken from the widest point)Lounge 4.00m (13’1”) x 3.05m (10’)Kitchen 3.00m (9’10”) x 1.65m (5’5”)Bedroom 3.90m (12’10”) x 3.45m (11’4”)Shower Room 2.50m (8’2”) x 1.30m (4’3”)Gross internal floor area (m²) - 32 m2EPC Rating – D Arbroath provides ideal access for country walks, outdoor pursuits such as fishing and watersports and also a range of leisure activities. Schools, shopping facilities and public transport services are all available within Arbroath itself but the area is also only a short drive from the other Angus towns of Montrose, Forfar, Kirriemuir and Carnoustie. The A90 road network is easily accessible from here linking airports, both Aberdeen and Edinburgh and the town has its own railway station. Arbroath, which lies on the north east coast is a charming town steeped in history, the large sandstone Abbey standing central to the town being the place where the declaration of Arbroath was signed. The town has a thriving Marina and is also a picturesque holiday destination with sandy beaches and rugged cliff frontage. Fishing is still a very important industry and the town is renowned for the Arbroath Smokie. 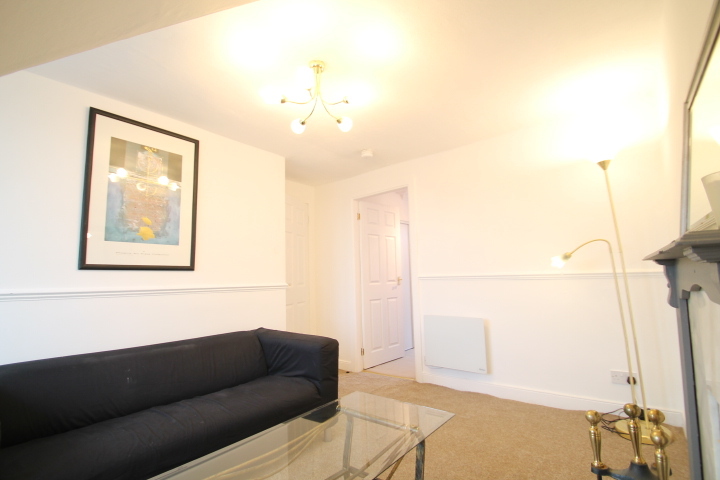 We are delighted to offer this recently refurbished one bedroom attic flat in a quiet residential area close to all local amenities. This property suits ideally a first time buyer as well as the seasoned Buy To Let investor being priced at the crucial threshold, 15% below valuation. 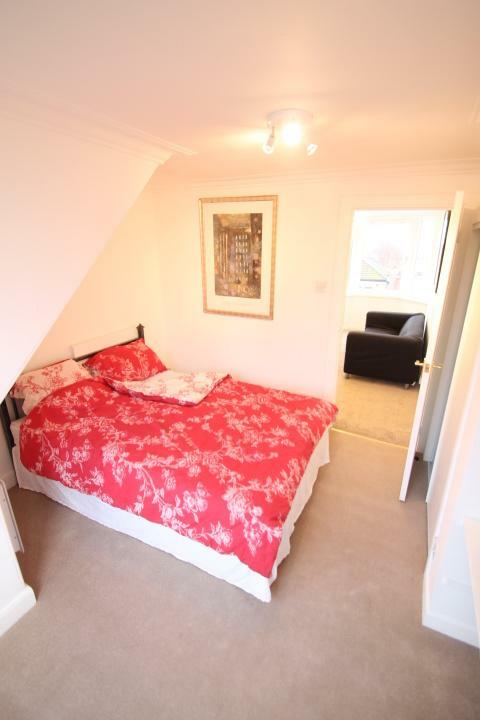 Its location is just one minute walk to the Arbroath train station as well as a two minute walk to the Arbroath Infirmary. 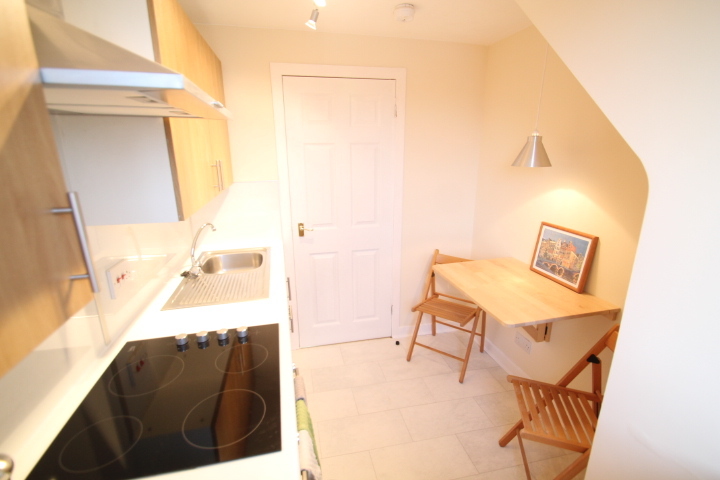 Entering the flat into the hallway on the immediate right is the modern, bright dining kitchen. There is ample worktop surface for cooking preparation, a stainless steel sink and drainer, a ceramic hob, built under electric oven and stainless steel extractor. The window provides ample natural light. Half tucked away is a dining area for a romantic dinner for two. 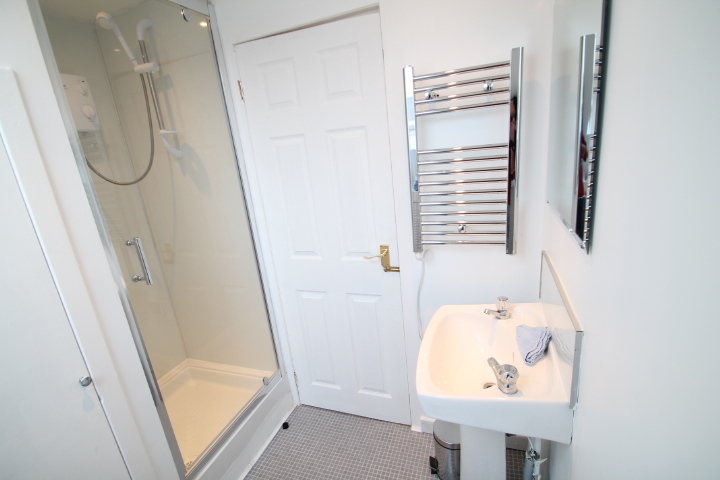 Opposite the kitchen is the neutrally decorated shower room with white three piece suite, electric shower with freshly lined wet walls. The towel rail radiator creates a cosy feeling, while additionally to the Velux window, the recessed spotlights provide ample light. 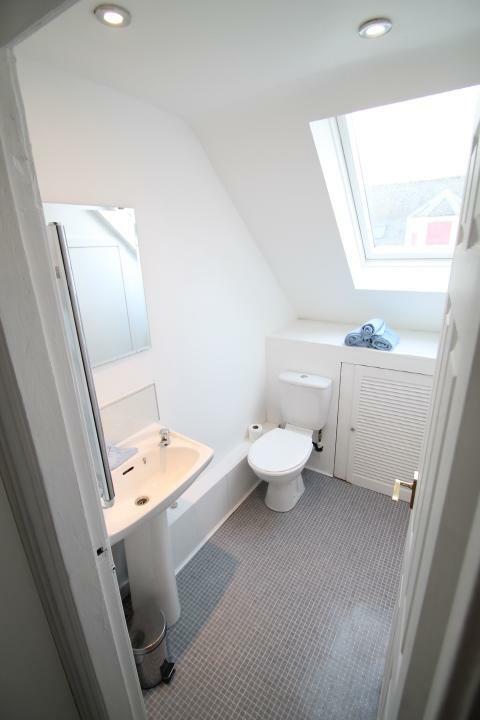 The washing machine is discretely housed next to the toilet, while the water tank cupboard provides additional storage within the flat. Heading on from the hallway, the newly decorated bright lounge is awaiting its visitors. The bay window provides a beautiful view towards the Arbroath Abbey and lends itself for creating a reading corner. The fire place is currently covered up but is awaiting its usage either with logs or by installing a wood burning stove. For the more practical resident, the wall mounted radiator will transform the living space in next to nothing into a cosy home. 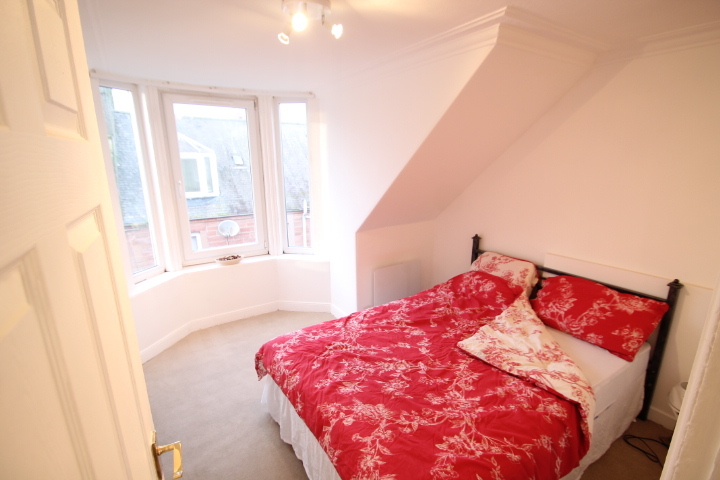 Finally the generous double bedroom comes with a big bay window and plenty of space for a freestanding piece of furniture or chair. It has a built-in double wardrobe, a desk area in the eaves that can easily be altered to built-in drawers and the wall mounted radiator is conveniently located next to the bed. Arbroath provides ideal access for country walks, outdoor pursuits such as fishing and watersports and also a range of leisure activities. Schools, shopping facilities and public transport services are all available within Arbroath itself but the area is also only a short drive from the other Angus towns of Montrose, Forfar, Kirriemuir and Carnoustie. The A90 road network is easily accessible from here linking airports, both Aberdeen and Edinburgh and the town has its own railway station. Arbroath, which lies on the north east coast is a charming town steeped in history, the large sandstone Abbey standing central to the town being the place where the declaration of Arbroath was signed. The town has a thriving Marina and is also a picturesque holiday destination with sandy beaches and rugged cliff frontage. Fishing is still a very important industry and the town is renowned for the Arbroath Smokie.